The chairman of the powerful Senate Armed Services Committee has confirmed that he previously provided to the FBI "sensitive information" believed to be memos detailing unverified Russian efforts to compile compromising information on President-elect Donald Trump. In a statement Wednesday morning, Sen. John McCain said that late last year, he received "sensitive information that has since been made public." "Upon examination of the contents, and unable to make a judgment about their accuracy, I delivered the information to the director of the FBI," the Arizona Republican said. "That has been the extent of my contact with the FBI or any other government agency regarding this issue." 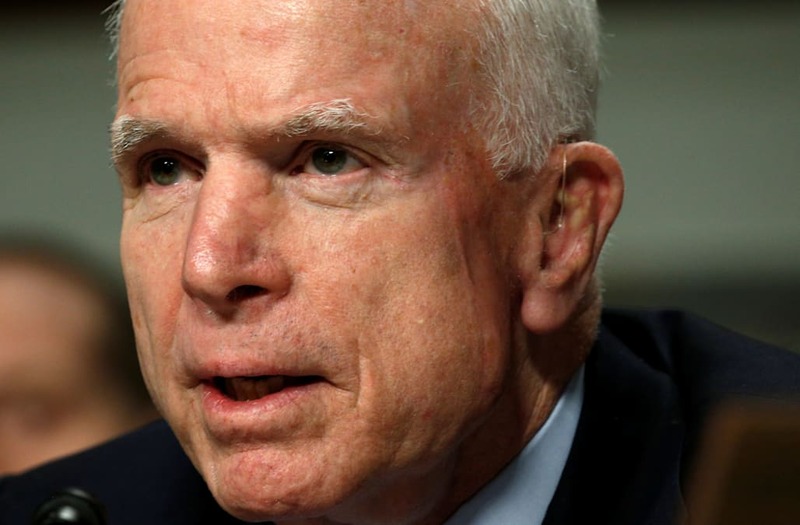 McCain did not specify the subject of the information he received, though his statement dovetails with a report by CNNthat he gave to FBI Director James Comey in December a "full copy" of memos detailing how Russia allegedly gathered compromising information on Trump. The FBI, however, already had obtained a set of the memos in August, according to CNN. Information in the memos – published by BuzzFeed News – has not been verified, and the president-elect and his staff have flatly denied their veracity. McCain's statement follows comments by others in Congress regarding a possible FBI investigation into links between Russia and Trump. At a hearing on Tuesday, Sen. Ron Wyden asked Comey whether the FBI was investigating Trump campaign contacts with Russia. Comey declined to comment on any investigations that may or may not be ongoing. "The American people have a right to know the answer to this question before January 20," Wyden, an Oregon Democrat, tweeted afterward, citing the day Trump will be inaugurated into office. On Sunday, Sen. Lindsey Graham, also a member of the Armed Services Committee, said on "Meet the Press" that he believes U.S. officials are conducting an investigation into Russian involvement in the 2016 presidential race. The South Carolina Republican and McCain have called for increased sanctions against Russia in retaliation for its intervention in the U.S. election, as documented in an intelligence report released last week in a declassified version.